In the wake of NVIDIA announcing the 'Turing' GTX 1660 Ti GPU, AMD announced a limited period offer for the Vega 56 by bringing down the price of the card to the same US$279 price point. Unfortunately, though, the card appears to have been sold out and it is not known if and when AMD will reinstate the offer again. 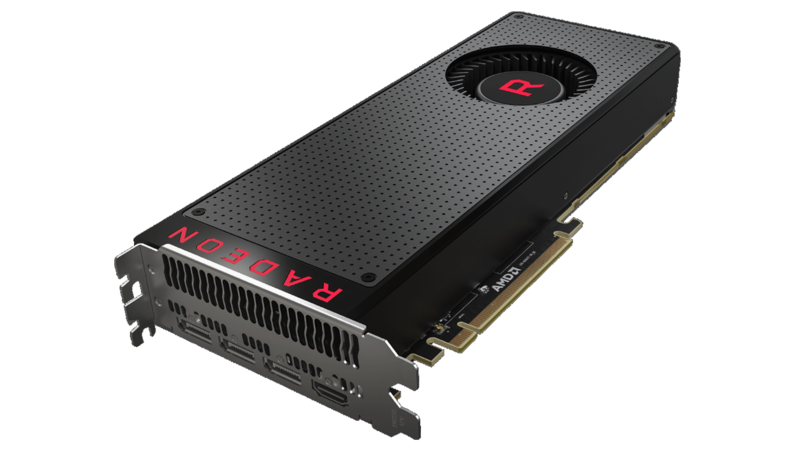 AMD has announced a substantial price cut for the Radeon RX Vega 56 matching it with the price of the newly released NVIDIA GeForce GTX 1660 Ti. However, this seems to be a limited period offer as AMD has clarified to Forbes that it is not a permanent price drop. Needless to say, the promotional sale is already out of stock on Newegg at the time of this writing. The GTX 1660 Ti is placed between the GTX 1060 and the RTX 2060 in terms of specs and easily beats the GTX 1070 in most games. From whatever we've seen of the initial benchmarks, the Vega 56 seems to have leads over the GTX 1660 Ti, making this deal even sweeter. You can also claim US$180 worth of complimentary PC versions of Resident Evil 2, Devil May Cry 5, and The Division 2 games on top of this deal as part of the Raise the Game Fully Loaded bundle. The US$200 price point is clearly dominated by AMD. The RX 570 has significant leads over the GeForce 1050 Ti for just US$140 while the RX 580 goes head-to-head against the GeForce GTX 1060 for just US$190 compared to the US$240 price for the latter with most models. However, AMD has issues above the US$200 mark. The newly launched RX 590 edges out the GTX 1060 but retails for US$280 while the Vega 56 and Vega 64 are still priced around the US$400 and US$500 mark respectively. 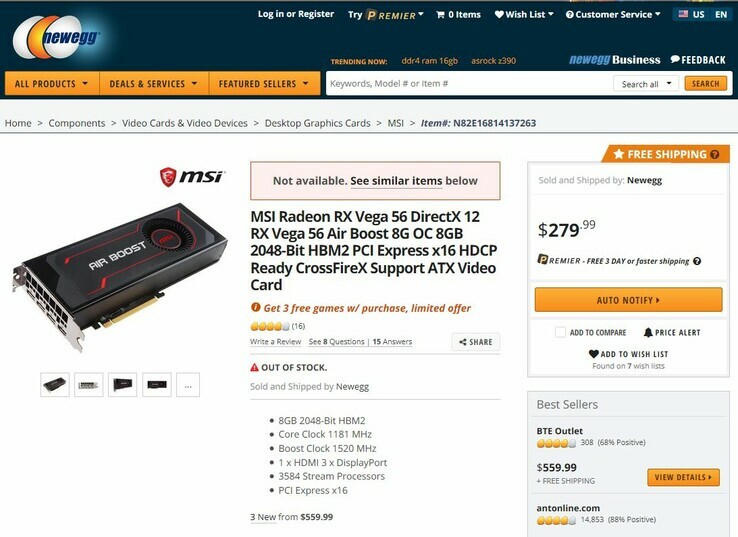 AMD's offer seems to be specific for the MSI Vega 56 card as other RX Vega 56 offerings from Asus and Gigabyte are still around the US$400 mark. The offer, if it gets re-instated, is no doubt excellent value for money considering that you get 8 GB of HBM2 RAM, good compute abilities, support for Rapid Packed Math, Shader Intrinsics, and FreeSync 2 at a very enticing price. We are not sure when new Vega 56 stock at the discounted price will be available but we can only hope AMD restarts the deal once again. Would you be picking up a Vega 56 over the GTX 1660 Ti at the US$280 price point? Let us know in the comments below.